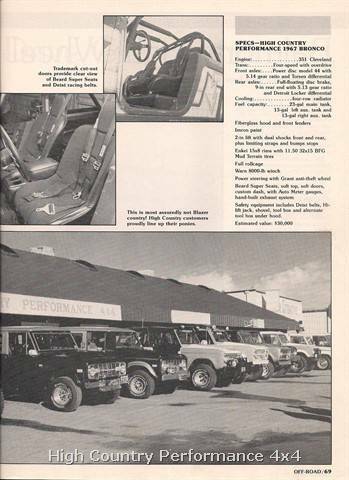 High Country Performance 4x4's history began in Alan Dunn's home garage in 1978. 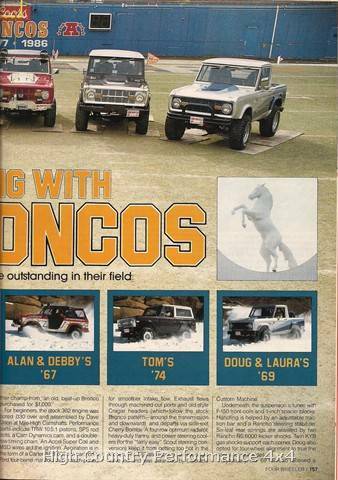 Al, a tool and die maker by trade, started out by modifying and repairing his friends' early Broncos and by 1980 a legitimate business was born. 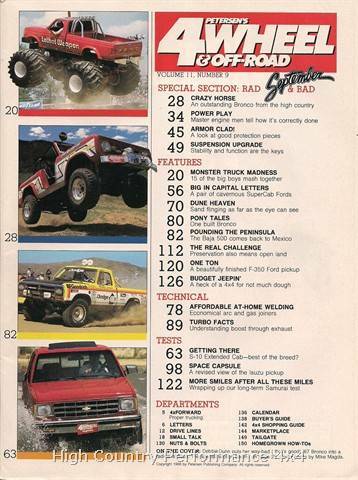 The backyard garage soon became too small to handle the work that was coming in and he looked for a new location. After a few moves, HCP4X4 eventually ended up in it's current location and since 1985, HCP4X4 slowly expanded to take over the entire property. 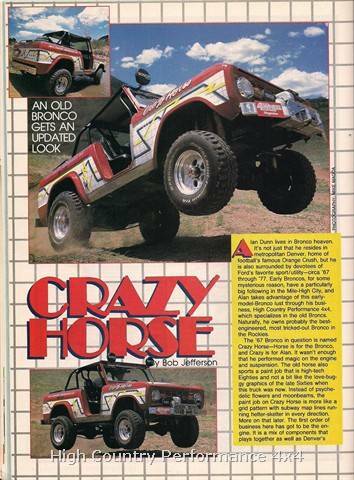 Al's strong passion for early Broncos was very evident at HCP4X4 and he quickly became known as an expert in his field. 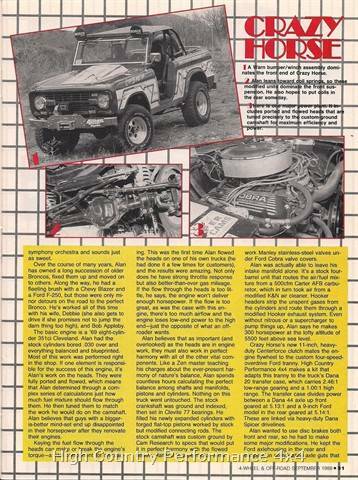 HCP4X4 was a national source for parts and knowledge based on the trail worthy Ford trucks and not only did HCP4X4 sell Bronco parts, it manufactured it's own. 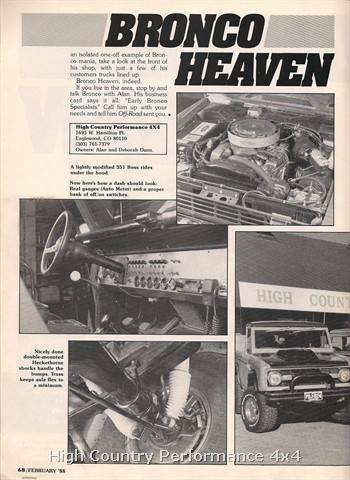 Al designed and manufactured fiberglass cowl induction hoods, fender flares and soft door inserts that could be seen on Broncos all over the USA. 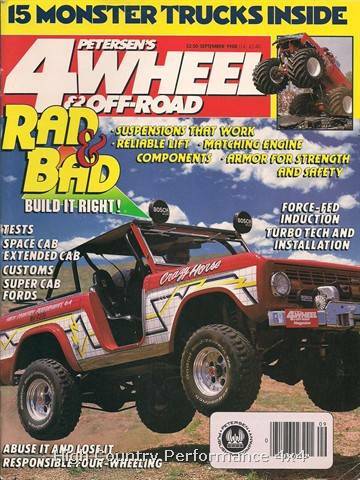 Though HCP4X4 no longer makes these classic fiberglass parts, they are still offered by Wild Horses Four Wheel Drive. 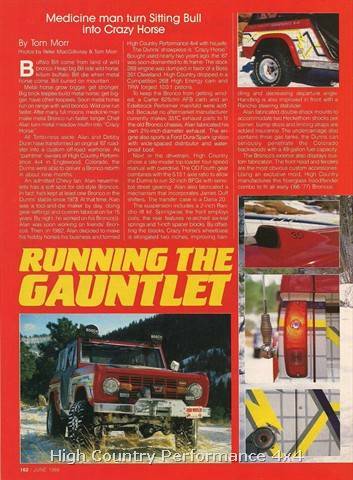 Unfortunately Ford did not produce very many 1966-1977 Broncos and the majority had been modified to their limits. 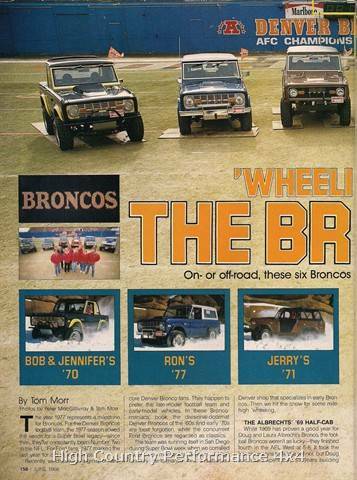 As a shortage of Broncos was approaching, HCP4X4 decided to change it's focus and Al bought his first Jeep Wrangler in 1992. 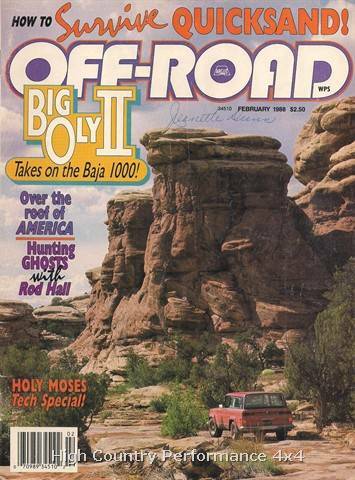 After people had grown accustomed to square headlights and YJs began circulating in the used car markets, they became a popular choice for use on Colorado trails. 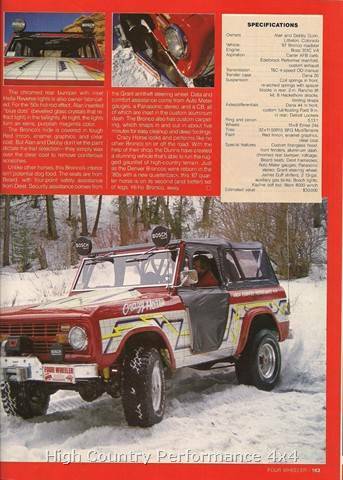 YJs, as with ALL trail rigs, needed upgrades and HCP4X4 was well up to the task! 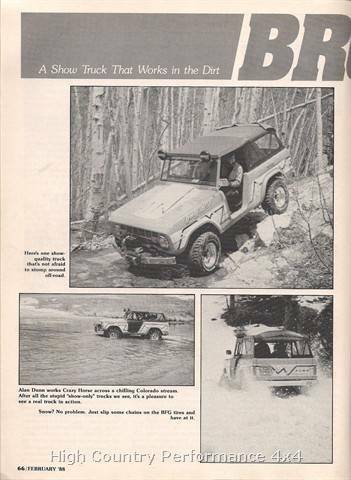 Just when HCP4X4 had the Wrangler figured out, Jeep released the TJ in 1997. 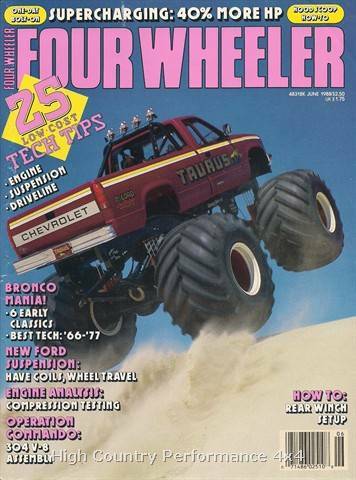 HCP4X4 dove into that new and improved vehicle head first! 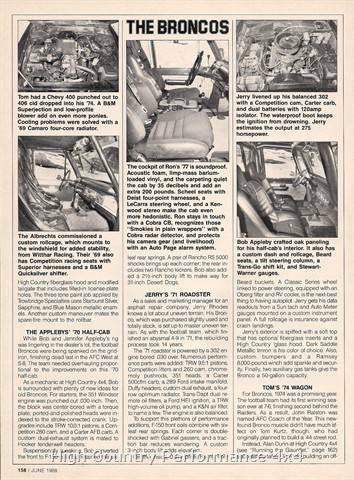 New companies, such as Teraflex, began building exciting products for TJs and High Country took a chance on them. 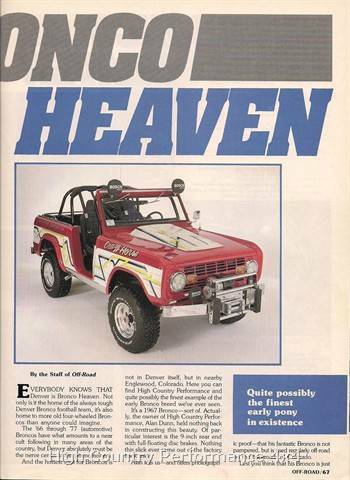 Soon the TJ became the hot Colorado trail vehicle and brought many new people into the hobby. These new Wrangler fans helped to make HCP4X4 the place to go for off road upgrades. 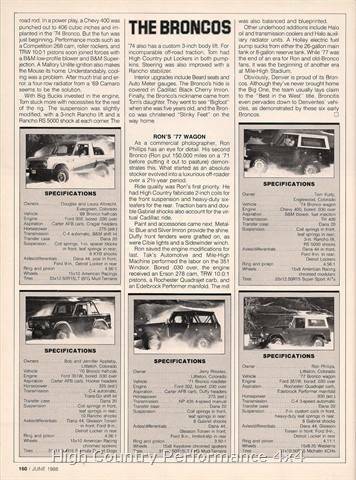 For over thirty years High Country Performance 4x4 has been evolving with the four wheel drive marketplace. 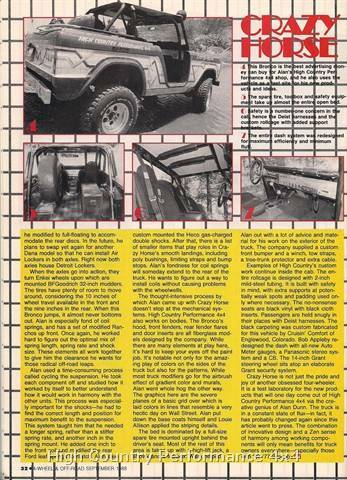 Starting with Broncos then to the earliest of Jeep Wranglers and now to the popular JK, HCP4X4 has been able to apply it's extensive knowledge to all automobiles. Many years of learning and growing have allowed HCP4X4 to cater to owners of cars, trucks and suvs of all types. As long as High Country Performance 4x4 exists we will grow with our industry and customers' needs. We hope to see you, your family and friends as we continue to make High Country history!